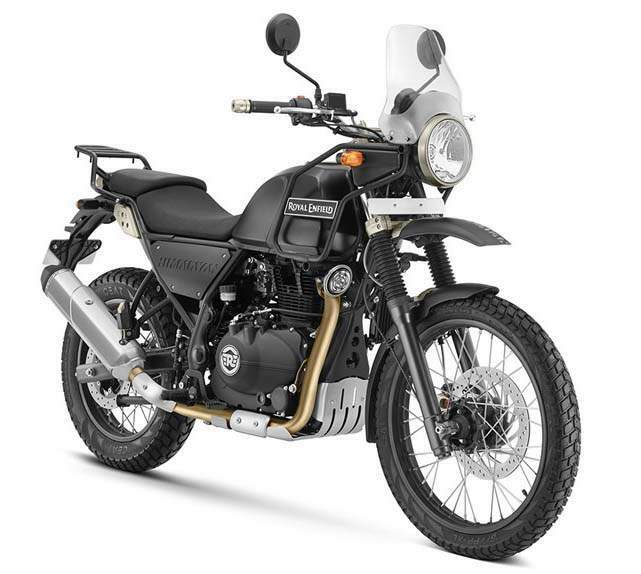 Royal Enfield designed the Himalayan to be simple, reliable and relatively inexpensive for an adventure bike. 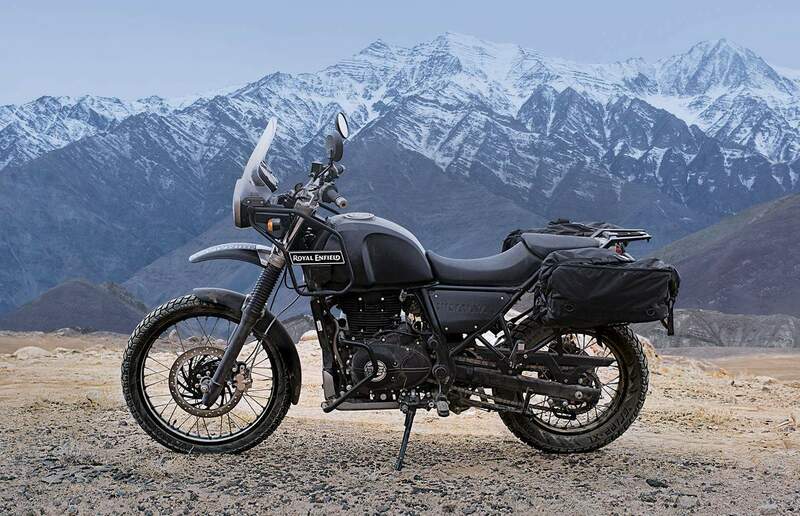 Created to take on the unforgiving terrains of the Himalayas, the adventure tourer adopts a minimalist design to keep things light, compact and affordable. 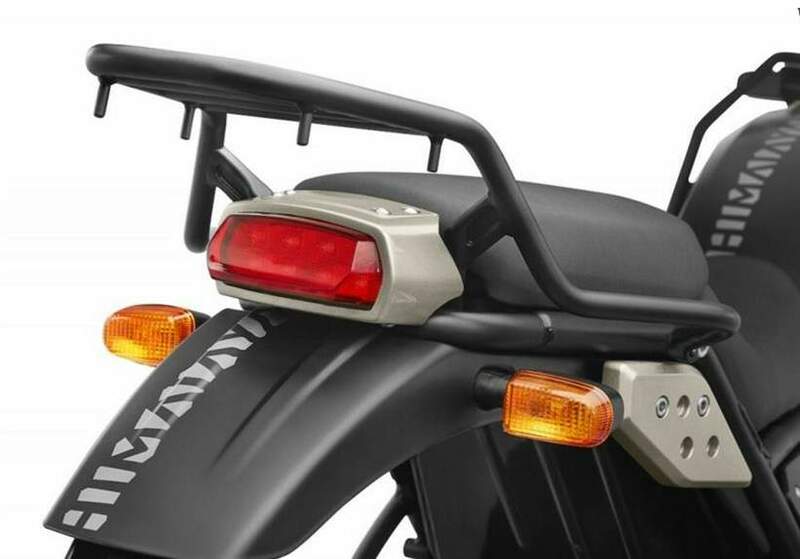 Long travel suspension, spoke wheels, on-off road tyres, windshield, split seats, upward sweeping exhaust canister and provisions to mount panniers are the salient features. A slender fuel tank with guards, exposed chassis, circular headlights, high-mounted front splatter guard, an interesting instrument console and an LED taillight add to the character. 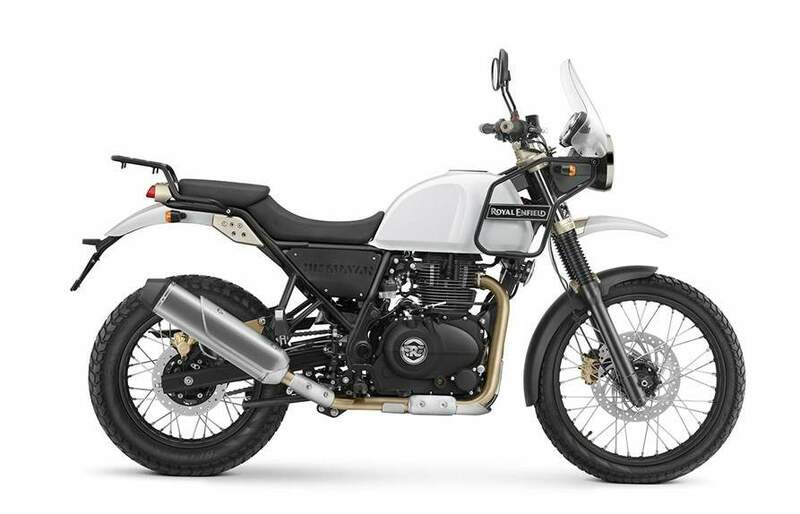 In short, the Himalayan looks nothing like any of the other Royal Enfields. The 411 cc oil-cooled, single-cylinder engine is mated to a 5-speed transmission to produce 24.5 hp at 6500 rpm and 32 Nm torque at 4000-4500 rpm. 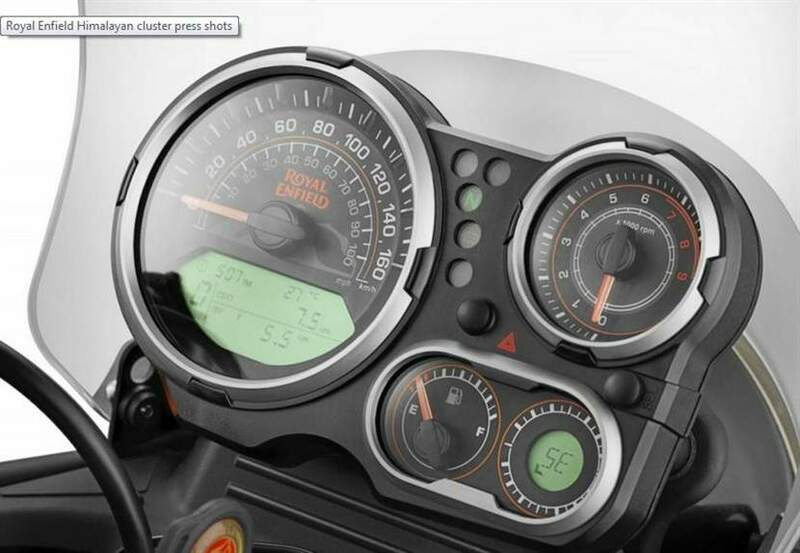 Speaking about dimensions, Royal Enfield Himalayan is 2190 mm long, 840 mm wide, and 1360 mm tall (flyscreen top). It has a wheelbase of 1465 mm, ground clearance of 220 mm, kerb weight of 182 kgs, and a fuel tank of 15 liters. Front tyre is in the form of 90/90 21 inch, while rear is in the form of a 120/90 17 inch – both wrapped around CEAT tyres. Braking is done by 300 mm disc in the front and 240 mm disc at the rear. 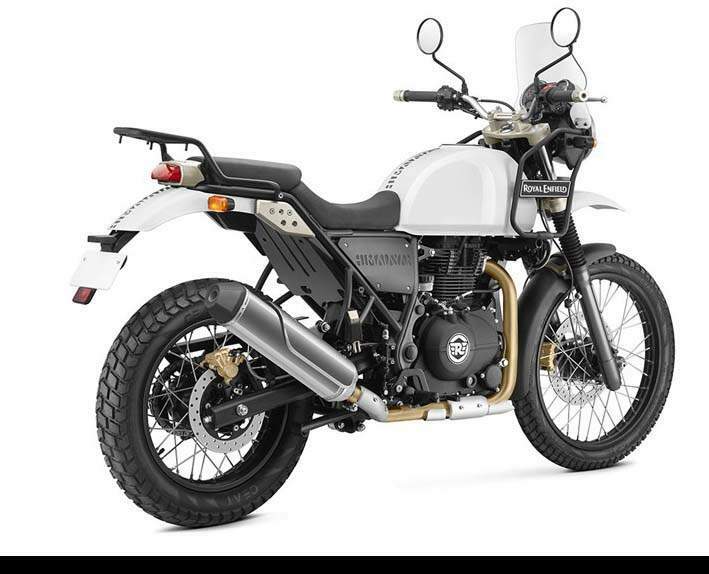 The Royal Enfield Himalayan’s frame is designed by the two wheeler makers UK subsidiary, Harris Performance. Suspension setup comprises front telescopic fork and a rear monoshock, a first for RE.